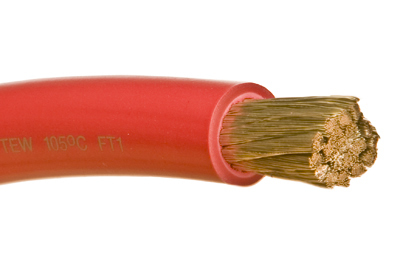 Marine tinned Battery Cable 1/0 awg red. Sold by the foot, minimum 5ft. 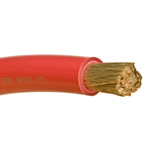 This UL Listed battery cable is made of type III rope stranded tinned copper and is insulated with a pliable yet durable compound. 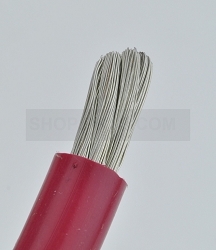 Resistant to Acid, Alkalis, Abrasion, Flame, Gasoline, Oil, Ozone, Moisture, Fungus. Applications: Connecting batteries to switch, starter or ground, windlass, inverter or any high amperage equipment.